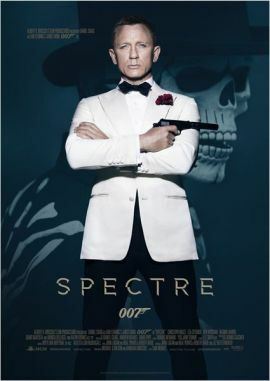 With a worldwide box office of $880 million, James Bond 007 - Spectre was still a force in cinemas but it couldn't repeat or even outdo the surprising success of James Bond 007 - Skyfall. Compared to that, it fell short by more than $200 million and it loses to its precessor in another aspect, as well: the censorship situation. Even before the British theatrical start, an unfinished version was shown to the BBFC in order to assess what rating could be anticipated. The answer that it would likely be "15" wasn't what 20th Century Fox wanted to hear so they censored it for the formal submission of the final version. That attempt was immediately successful as it was rated with the desired "12A" classification (we reported). It was still unclear how far-reaching the consequences of this would be. There were cases in the past that suffered from pre-cuts but were released uncut later on or weren't affected in other territories. Productions from the UK are even more critical even though there was the exotic case of James Bond 007 - Casino Royale that was censored differently in the UK, the US and Germany while being uncut in Asia for quite some time before the Western markets got the uncensored version years later. For Spectre, there was at least a small glimpse of hope when there was a noticeable runtime difference with the German theatrical version of 29 seconds. After it became fact that the British home video releases would also contain the pre-cut version (we reported), the remaining question was what the situation would be in other markets. Unfortunately, the answer to that is that the runtime is identical to the Blu-ray release in Germany as we now checked. Also, the same goes for the Netherlands, the US and Asia (via dvdcompare.net).